Medical Notes: Lizzie has feline immunodeficiency virus (FIV) which is a virus that can affect her immune system, however, she can still potentially live a long healthy life. FIV is transmitted through deep bite wounds. Due to her FIV Lizzie will need to be an inside only cat. If you have other cats it is recommended that they are vaccinated against FIV and that you use precaution when introducing them to ensure that they get along without fighting. Leukaemia negative. Lizzie has been exposed to Ringworm, which is a common fungal infection. She is not showing symptoms and will be able to go her new home once given the all clear. Lizzie has a timid nature but is not aggressive. She also enjoys spending time with her fellow fosters. Lizzie enjoys the company of other cats. She is slowly getting used to people but once she knows and trusts you, she will come to you. She can’t be touched at this stage but is slowly getting closer to her foster mum. She has started to show interest towards people. She may hiss if you are getting closer but she won’t be aggressive. She has improved a lot since coming into care, even though she still needs more time to trust humans. Apart from that, she is a lovely cat! 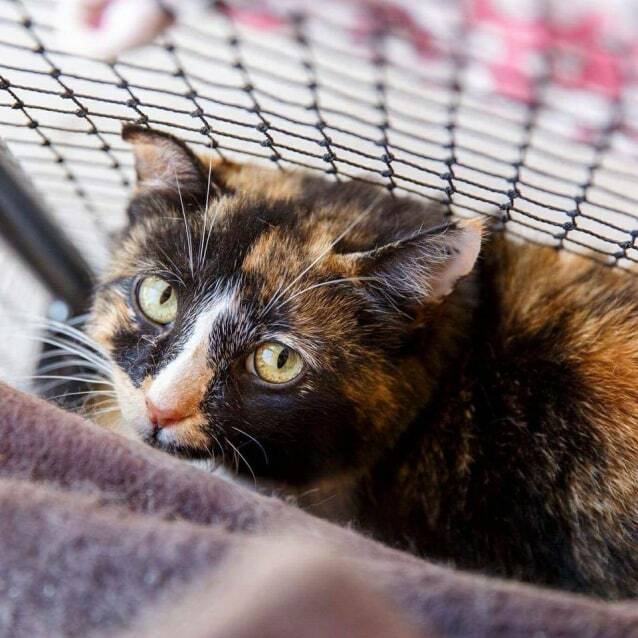 She has not been tested with children but would prefer an adult home. Lizzie enjoys wet food morning and night and biscuits throughout the day. She would be the perfect companion for a quiet home.